Welcome to our third issue of Caduceus: The Hermetic Quarterly. Incoming mail has been arriving in greater and greater quantities in the last few months as word of our existence has spread through a well placed advertisement in Gnosis magazine and through the online community on the much hyped Internet. For those of you just joining us with this issue, I hope you find it enjoyable as well as thought provoking. As you will quickly realize, the main theme of this issue is alchemy, especially the Mutus Liber. Alchemy holds a special place in the Hermetic tradition and one which is much misunderstood in the present day. For the last few decades, it has been a victim of the secularization of mystical traditions and has been turned into a simply psychological tradition by many people. This is a quite limited view of the tradition of Alchemy and we hope that what we have printed here will be an example of its true spirit. On the theme of alchemy, I must mention some of what is going on with the Internet. Over the Internet, there is a nebulous network of sites known as the World Wide Web. The World Wide Web allows people to display text, graphics, and sound in a hypertext environment. What this effectively means is that you can read an interesting text or look at an image, select it, and go to related topics or explanations that the creators of the site have established. It is a tool with a wonderful amount of potential and one of your editors is quite involved with it. 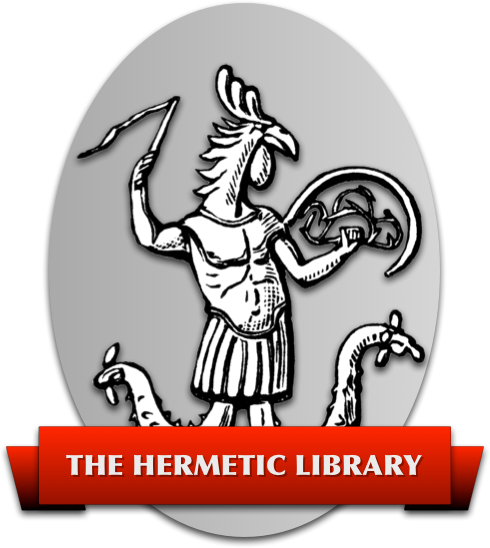 Adam McLean, former publisher of The Hermetic Journal, has established a site with over five megabytes of alchemical texts and images in England. Through this site, he is disseminating information on a scale impossible before now as publishing this kind of material is often nearly impossible. I encourage all of you who have access to the World Wide Web through any means to visit his site at http://www.colloquium.co.uk/alchemy/home.html there. We are putting together a web site as well and an early version of it is not available at http://www.speakeasy.org/~mimir/caduceus/index.html. We will be adding to it on a regular basis. Currently, we have much of Mead's translation of the Corpus Hermeticum available online as well as an introduction to Qabalah and an article on Martinism. Next issue we will have the second half of Magaphon’s commentary on the Mutus Liber and an article on the rotation of the elements in alchemy. As always, we welcome submissions freely through postal mail as well as electronic mail and encourage you to write us.